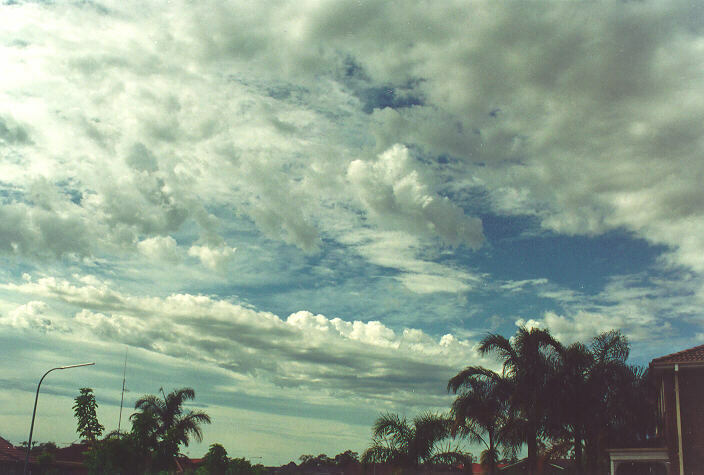 Cumulus can be observed developing under various types of conditions. 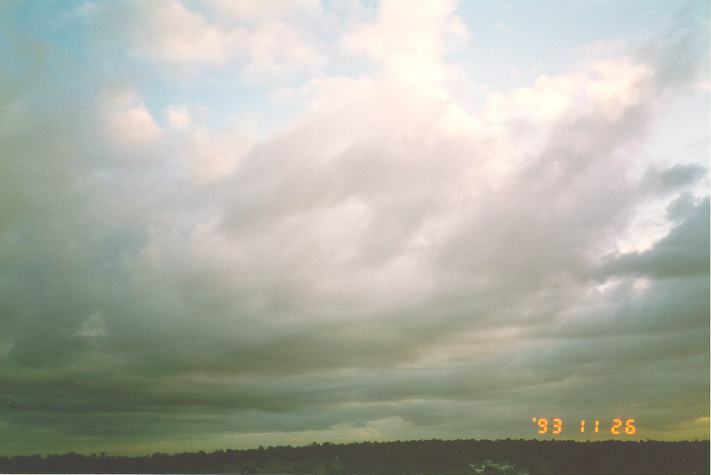 The most common conditions are that of light winds where cumulus remains almost stationary. 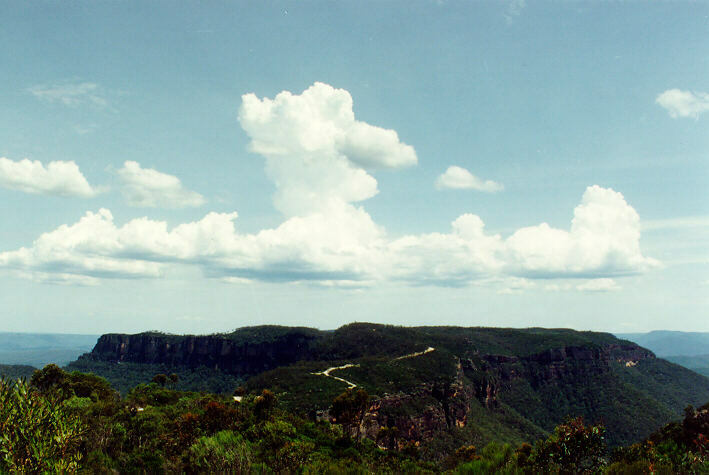 Quite often under these conditions, cumulus develop over hills or mountains. They generally are not a fast moving cloud. Depending on the height in the atmosphere cumulus develops, it will move in the direction of the wind at that level. At lower levels, cumulus will tend to move in a direction similar to the direction of the wind at the surface. 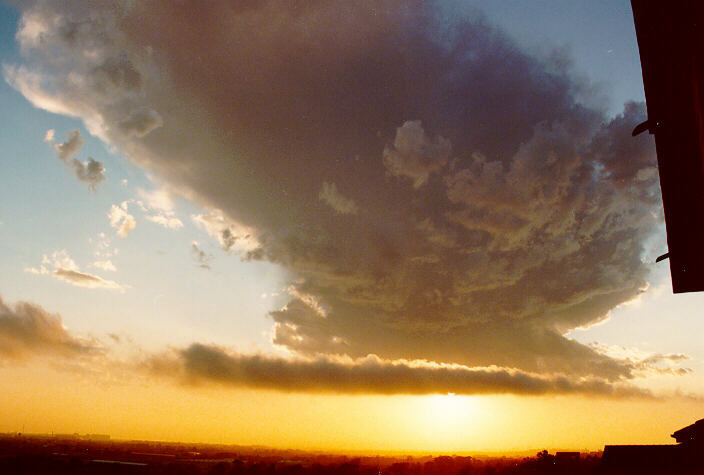 At higher levels, particularly on days when cumulus may develop into thunderstorms, cumulus may move in a different direction than that of the surface winds (usually from the west). 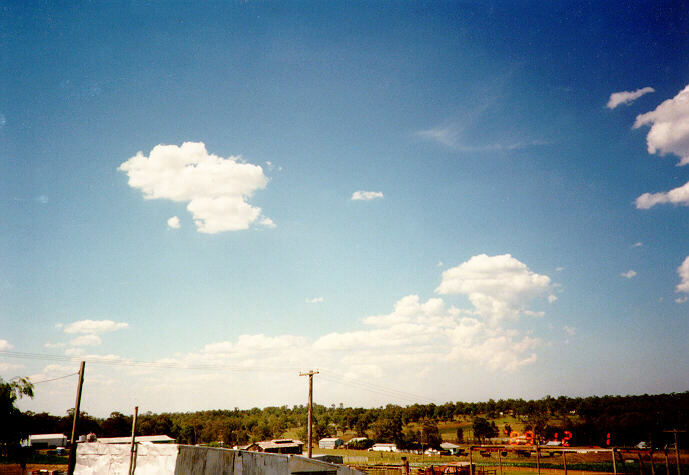 Cumulus like other cloud forms are ever changing systems: developing and dissipating. So long as the rising air currents are maintained and the air at the surface is relatively humid, then the cumulus will persist. They occur most frequently during the day and dissipate during the afternoon or evening. Cumulus dissipate when the rising thermals feeding the water vapour is cut off. This can occur when the intensity of the sun's radiation decreases becoming insufficient to heat the air at the surface. Sea breezes can also cut off the supply of water vapour because it is horizontal and acts as a wedge. Cumulus may increase in height briefly as the sea breeze penetrates. Behind the sea breeze boundary, cumulus are in the process of dissipating and are mostly disorganised or fragmented. Stratocumulus can change in appearance and structure. With convective heating from the sun and changes in wind conditions (such as lighter winds), the rolling turbulence supporting the stratocumulus is replaced by convective currents, allowing stratocumulus to develop into cumulus. 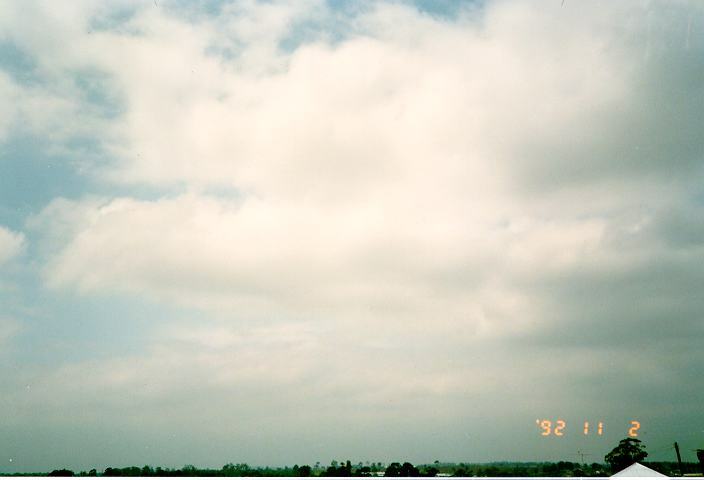 With a change in wind conditions (wind speed and direction) or temperature, stratocumulus may also develop into other forms of stratocumulus. These changes can occur within hours or may take place over a few days. Stratocumulus in the form of globules may indicate the cloud is dissipating (breaking) if relatively still, or clearing and dissipating if in motion. The difference between dissipating and convectional effects on stratocumulus is that dissipating stratocumulus will appear to have virgo falling from the globules whereas cumulus develop from convectional effects. 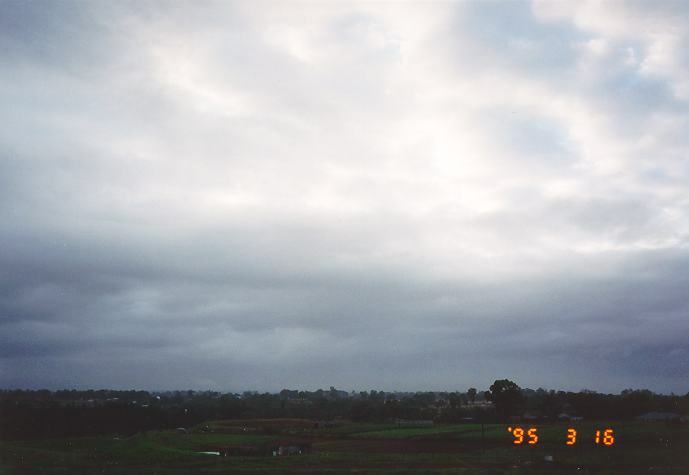 A stratocumulus cloud layer can break or clear as a result of change in the wind conditions such as the development of sea breezes. 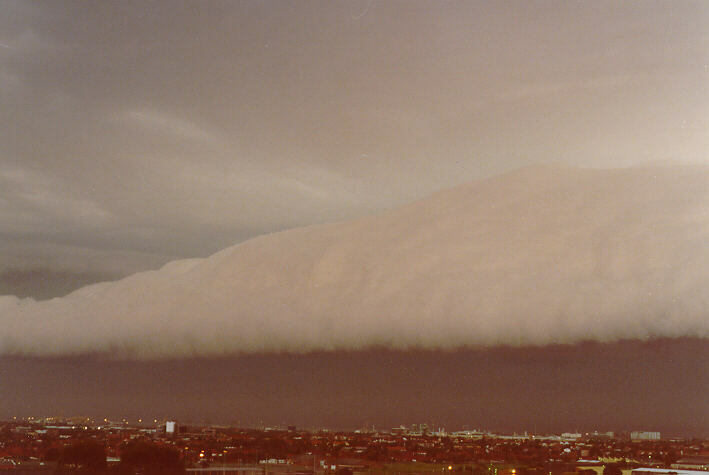 This is common in Sydney during summer after a cooler change or southerly buster has introduced stratocumulus during the evening and night. With a relative drop in wind strength, the stratocumulus clears as east to north-easterly breezes move inland. Convectional heating can create conditions that lead to the development of cumulus in some circumstances. Sometimes stratocumulus may change direction from onshore to offshore as the wind changes from sea breezes to land breezes. The stratocumulus moving inland will normally dissipate as other stratocumulus develop and move with the land breeze. Such stratocumulus normally exhibit smoother edges. 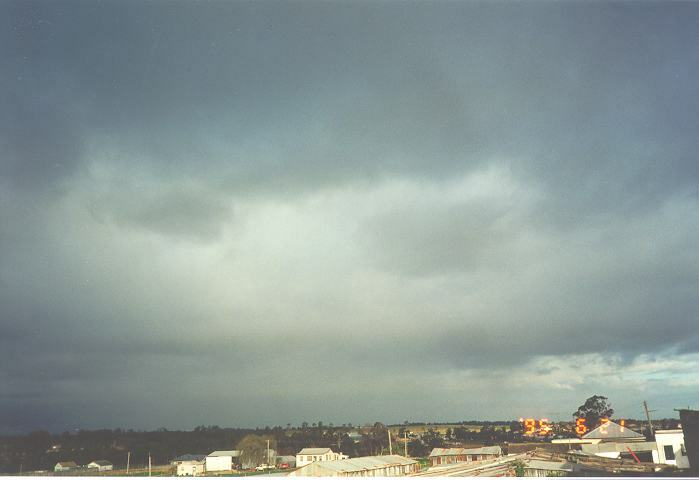 Occasionally, broken stratocumulus is observed adjacent to thicker rain bearing stratocumulus. This may be due to the cloud dissipating on the edge of a cloud band. In this case cloud may increase and thicken with rain or showers developing. A nimbostratus cover will then dominate. 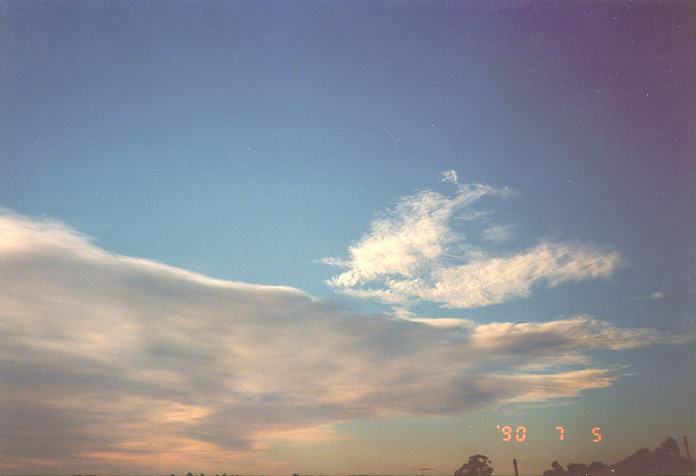 Stratocumulus can also appear in the shape of lens (lenticular form). This normally indicates that stratocumulus is developing and increasing with showers most probable. This situation tends to occur more often in conjunction with other stratocumulus and with middle level clouds overhead. In mountainous regions, stratocumulus will appear as very low cloud or fog/mist. 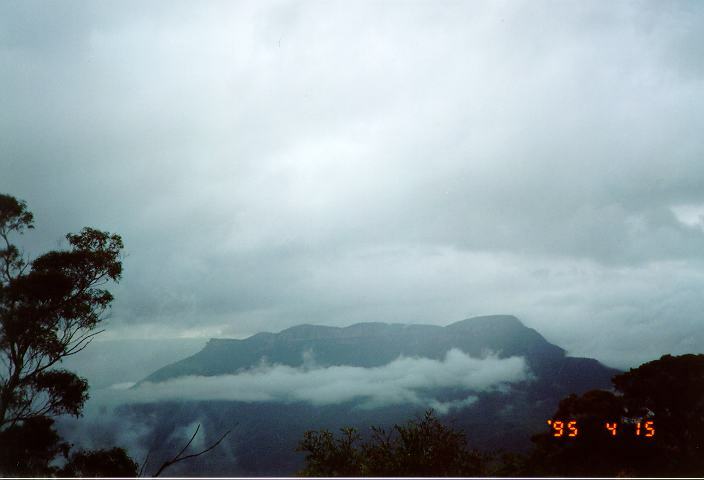 In fact, low cloud can occur at or below the level of the observer depending on the altitude of the mountains. 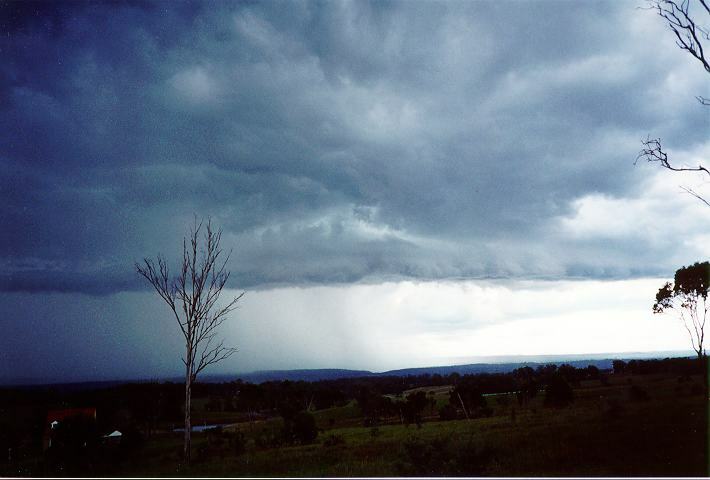 Most forms of stratocumulus can occur at the base of thunderstorms. Stratocumulus occurring below the base of thunderstorms can be spectacular. 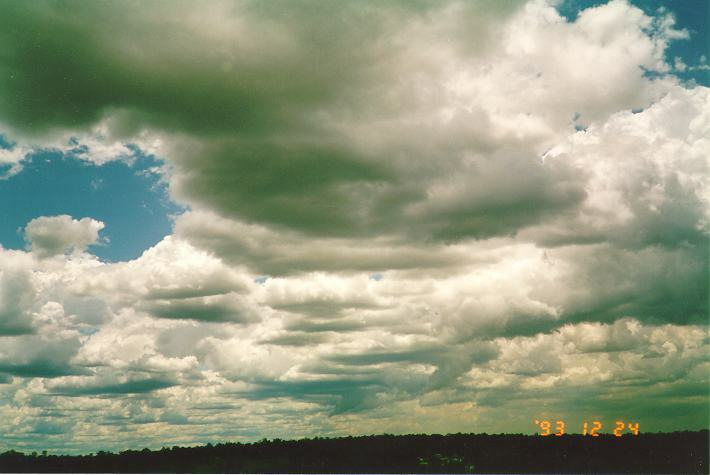 Usually, stratocumulus will develop as the rising air associated with updraughts condenses at the condensation level. In fact, stratocumulus associated with thunderstorms may develop within the environment of the thunderstorms (as a result of the updraughts or down draughts) or it may already exist as a widespread stratocumulus cover with thunderstorms developing overhead. As the thunderstorm approaches or develops nearby, stratocumulus will increase and become thicker indicated by darker bases. The stratocumulus will either suddenly or gradually clear as the precipitation cascade approaches. The precipitation will allow more light to pass through than the stratocumulus creating contrast. As the thunderstorm clears, the stratocumulus will again become widespread. Sometimes, the cloud will clear if the thunderstorms develop as a result of a cooler change with drier conditions and clear skies prevailing. 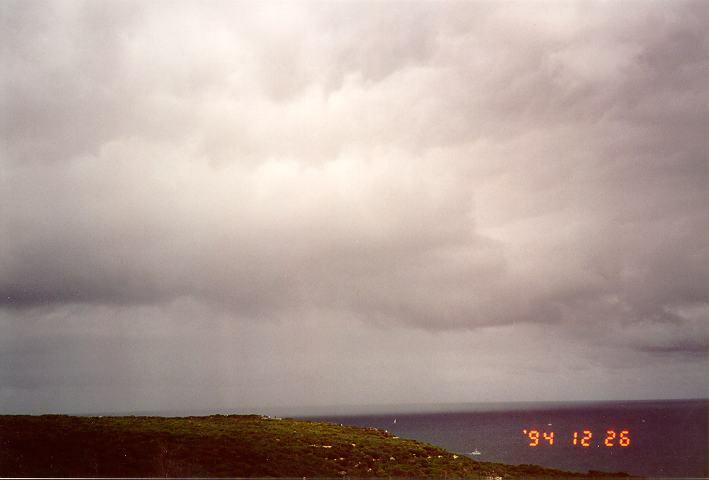 Of course, the amount of stratocumulus present near thunderstorms depend on several factors: the structure of the storm and associated updraughts, the strength of the updraught, the amount of moisture drawn into the thunderstorm, and the air temperature necessary for condensation to occur. 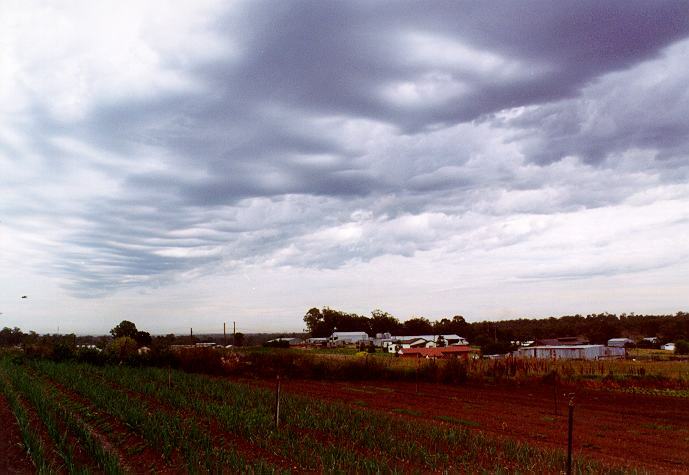 Stratocumulus can also develop in the form of a lenticular structure. The clouds change by growing in size and they dissipate later. 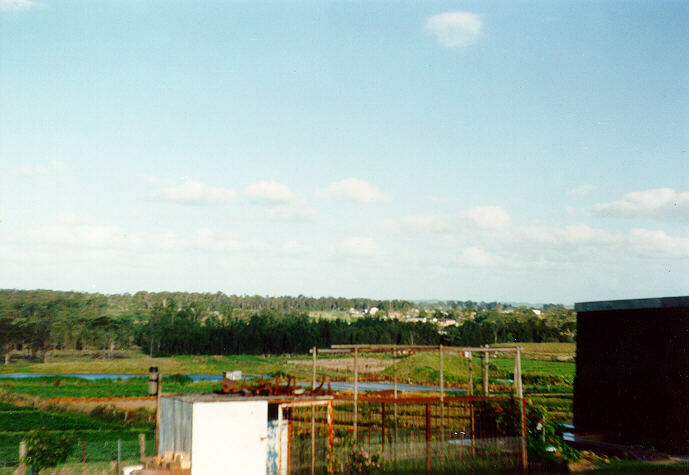 Sometimes, stratocumulus in this form becomes widespread into a full cover. This situation occurs on some evenings in the Sydney area. During the morning, the cloud may remain widespread or gradually dissipate. 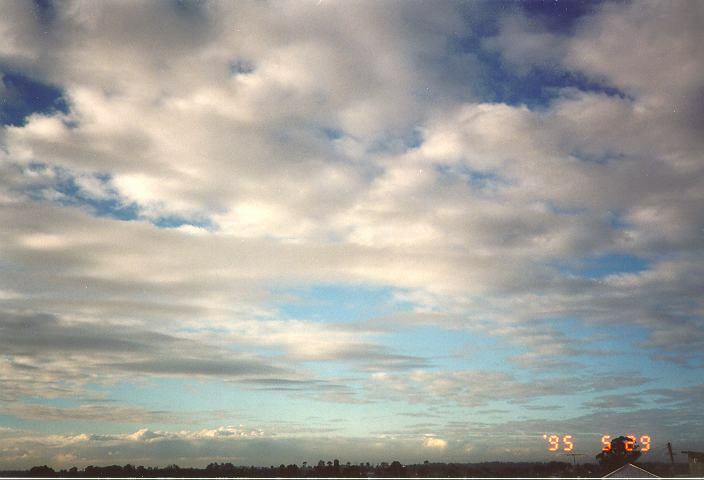 There are literally many environments where stratocumulus may develop. It may develop as a result of localised features that regularly supports the favourable conditions necessary for the development of stratocumulus. 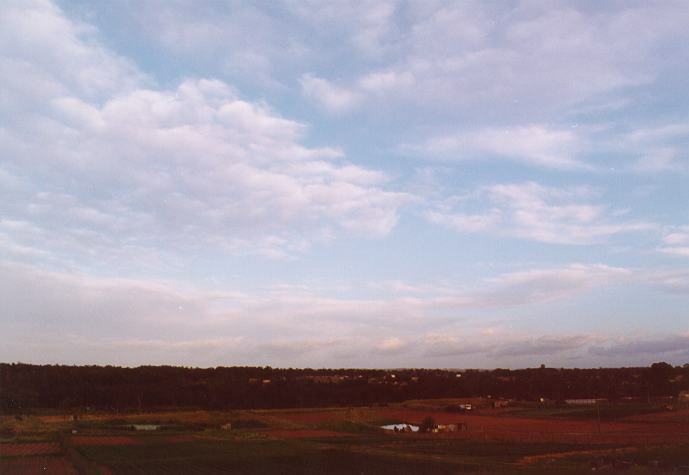 One example is the development of stratocumulus as a result of uplift of wind streams over headlands. 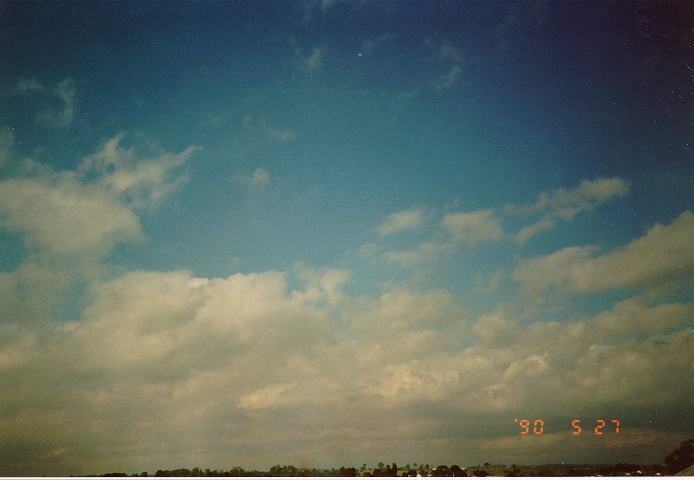 Nevertheless, it would be impossible to cover the various forms of stratocumulus. 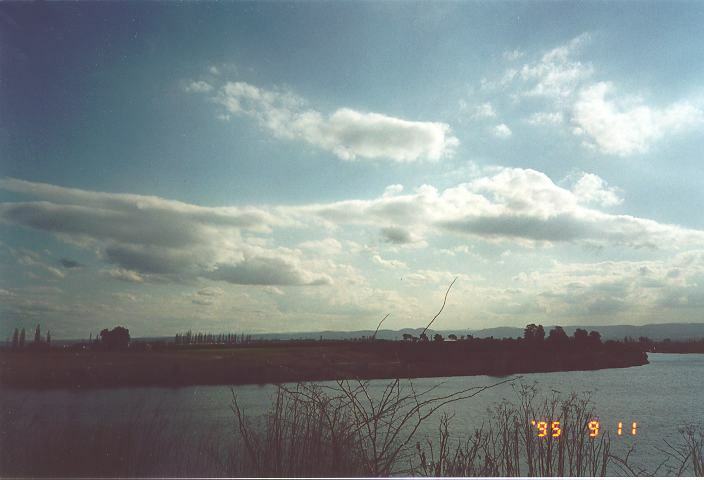 However, the many descriptions and techniques used to identify stratocumulus is applicable to any part of the world. 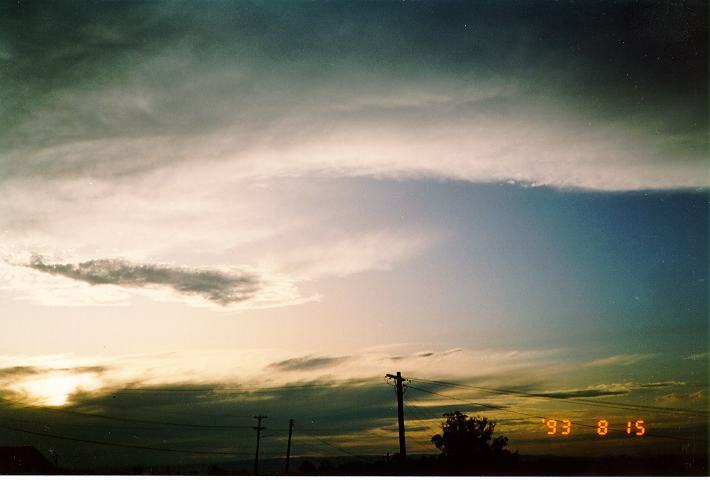 Stratus, when observed closely, is the best example of a cloud that displays rapid development and dissipation. This is especially true when observed developing with the passage of a cold front or onshore air stream. 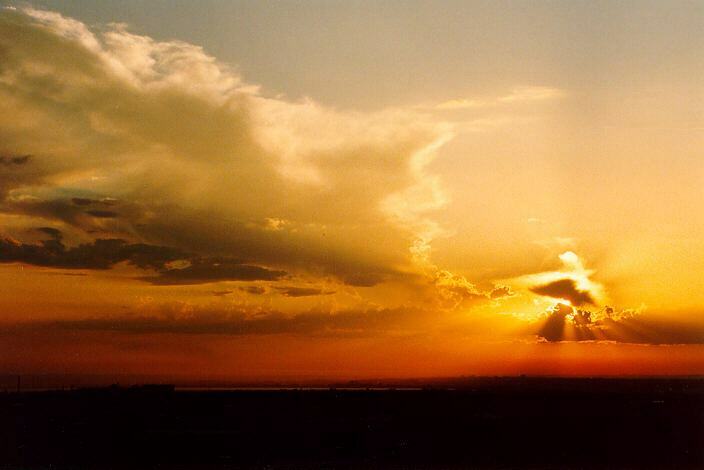 Although both development or dissipation can occur in any part of the cloud patch, these processes are more readily observed on the edges of the clouds. 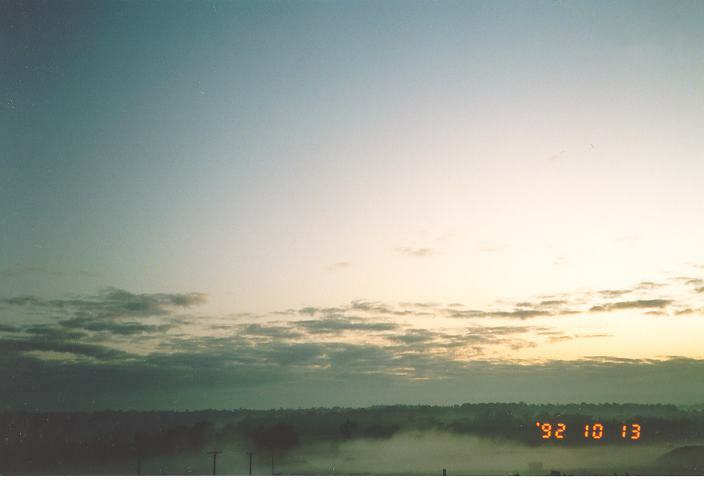 It is uncommon for stratus to develop into other types of clouds besides stratocumulus. This only occurs when the amount of moisture increases dramatically or the temperature at that layer of the air drops. Such conditions occur with cold fronts such as southerly busters in Sydney. If such conditions do occur, the stratus patches will grow forming larger areas of stratocumulus. 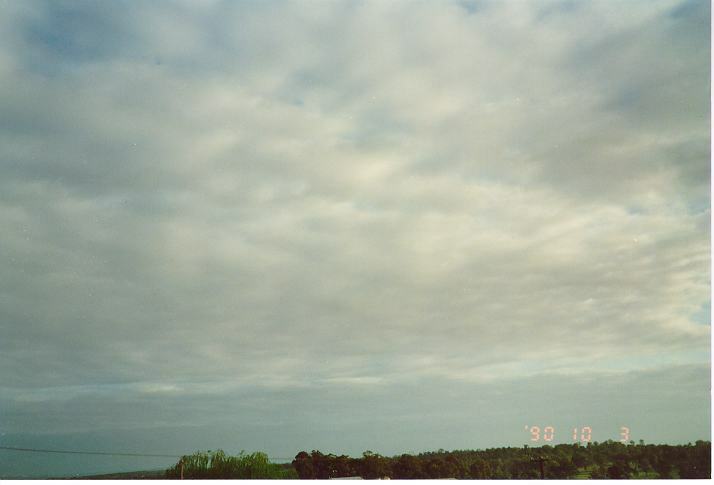 Stratus may still occur usually below the stratocumulus. 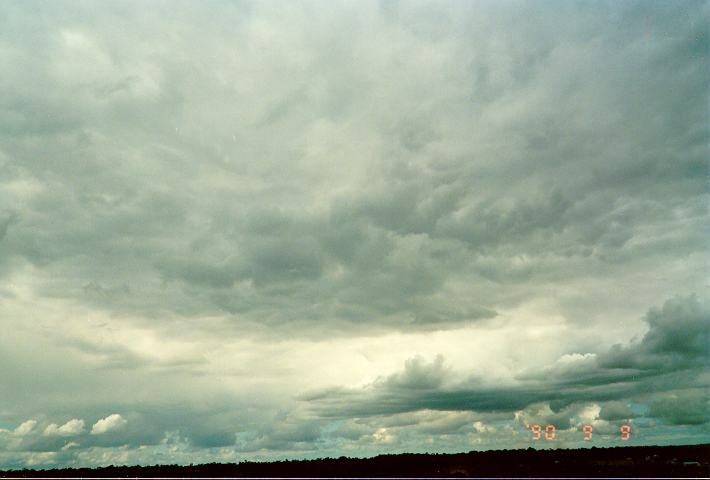 Stratus can also develop at the base of thunderstorms similar to the situation of stratocumulus. Stratus will develop or become thicker in the vicinity of the storm region. Altocumulus like stratocumulus is also a cloud that typically changes. It can change structure in several ways. Although altocumulus drifts in the direction of winds at that level, it can develop rapidly in several ways. Sometimes, altocumulus develops further and becomes thicker. This may continue to the extent of precipitation developing. Sometimes development can be observed at the rear of the cloud mass. The altocumulus may be retreating but development at the rear creates a change in terms of expansion of the altocumulus cloud mass. This is especially the case during unstable conditions. Thunderstorm development can occur during these conditions. Sometimes, altocumulus develops from cumulus. The tops of the cumulus may begin to spread and eventually form altocumulus. In other situations, the cumulus may decrease in height and the bases may gradually spread or develop to form areas of altocumulus. These types of clouds do not normally move rapidly. 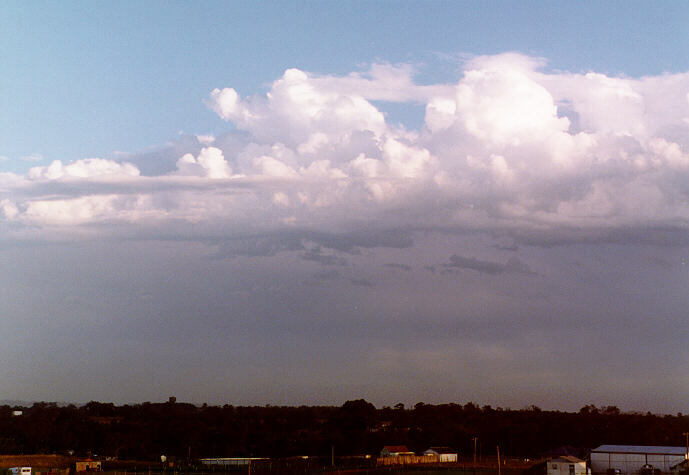 Altocumulus castellanus, particularly those with turrets, develop rapidly with solar heating of the surface.The changing structure often lead to thunderstorm development. In this case the development is mostly noted in vertical structure. Development also occurs in other regions adjacent to the existing cloud. 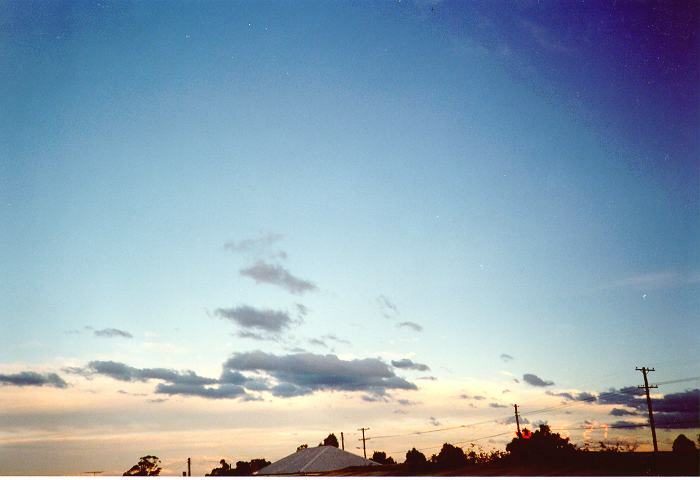 Altocumulus can develop in more than one layer. Therefore, the fact that two layers exist mean that development and dissipating processes can create more complex changes. In fact, the movement in slightly different directions and at relatively different speeds changes the appearance of the cloud. Perhaps breaks may coincide briefly allowing sunshine through. Sometimes, lenticular altocumulus occurs below or just ahead of approaching thunderstorms. They may develop in conjunction with other cloud layers. In these cases, they move but may change structure or size. There are therefore many situations where altocumulus clouds do change continuously and can be noticed. 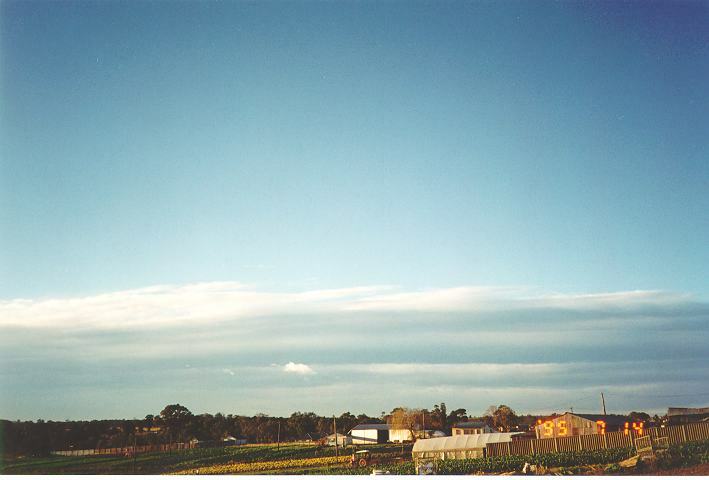 Despite altostratus being a type of middle level cloud, changes typically occur differently to altocumulus. This is due to the different development processes. However, because of the lack of contrast typically associated with altostratus, changes are more difficult to notice compared to other cloud types. This is especially true in cases where altostratus is widespread even changes in the various layers are occurring continuously. 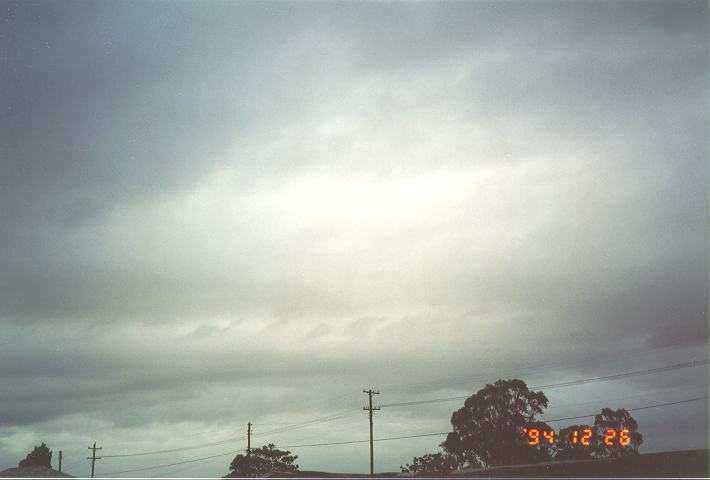 Altostratus commonly develops during afternoon or evenings particularly when a trough of low pressure or cold front approaches. The increase is an example of continuous changes that occur. The cloud does not only move foward, it develops. It may not be as noticeable as altocumulus or other cloud types. But the process can be rapid over a period of a few hours. In some cases, this process occurs over a few hours. 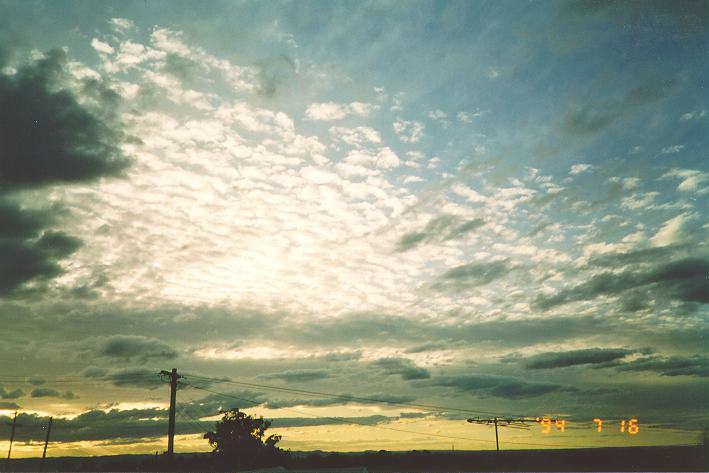 There are conditions where altostratus can dissipate to form altocumulus. In some situations, this occurs with altocumulus globules becoming gradually more noticeable from the original altostratus layer. In other situations, virgo is noted falling from altostratus. Altocumulus then remains when the virga disappears. 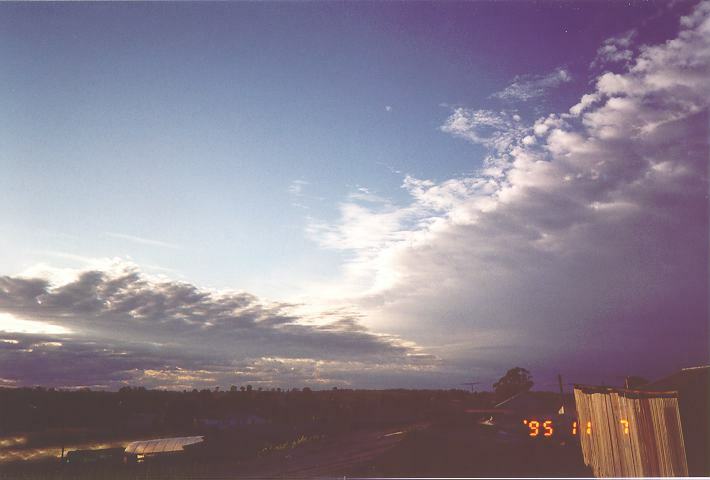 Lenticular altostratus can be considered as a separate situation of changing altostratus. They develop typically due to affects of wind patterns created mainly by mountains but also by atmospheric effects on air flow. No matter what the cause, these are examples of changes. Rear deveopment can be observed in some cases. On some days lenticular clouds is known to remain stationary even though the cloud is observed moving. Condensation is occurring on one end of the oscillation and dissipation on the downwind end. The lenticular altostratus changes structure and size based on changes of wind strength or direction. 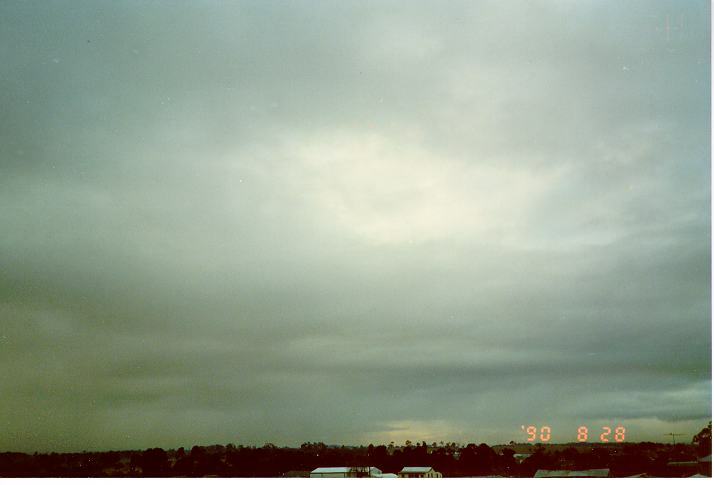 Nimbostratus, because of its lack of contrast, is also a cloud that is hard to notice changes. However, lower level nimbostratus developing from stratocumulus displays more characteristics indicating changes usually becoming more widespread. These changes are similar to altocumulus rear development processes. Despite the cloud moving in one basic direction rear development can make the cloud appear to move slower. Another notable change is the darkening cloud bases and development of precipitation. 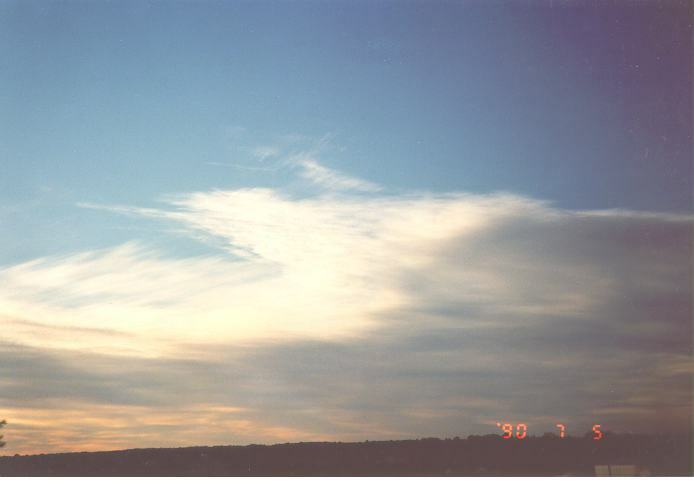 Cirrus appears to display little or no changes in its structure despite the changes occurring. 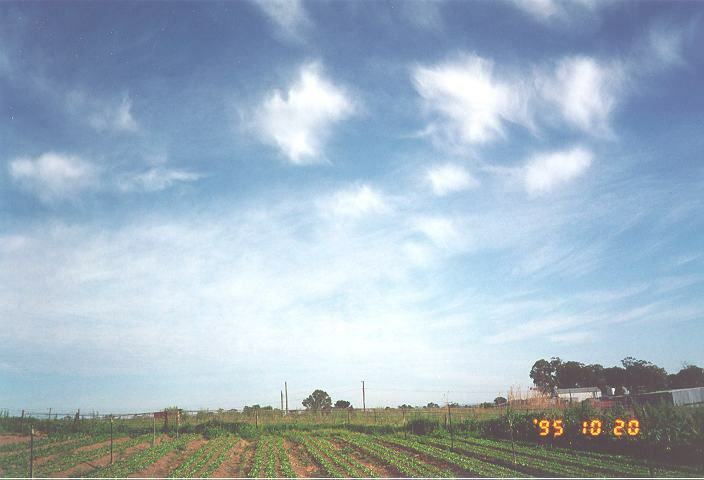 Development does not occur as rapidly as other cloud types. Over some time, the cirrus clouds may grow and change shape. Sometimes cirrus develops just ahead of cirrostratus. This can occur during developing troughs or approaching cold fronts. This also can occur with the approaching and weakened anvils sections of thunderstorm clouds drifting down wind. One of the more notable changes in cirrus occurs when cirrus remains from the tops of dissipating thunderstorms (cumulonimbus). The dissipating process continues until the cirrus gradually disappears. Cirrostratus clouds do change but again the changes are not as noticeable. The more widespread the cirrostratus, the less an observer can notice changes. One of the changes in cirrostratus occurs when it increases during the day often followed and hidden by altostratus. Cirrocumulus tends to develop in a way similar to altocumulus. Rear development is the most common form of development of cirrocumulus. Sometimes, cirrocumulus patches develop. The changes can occur reasonably quickly. 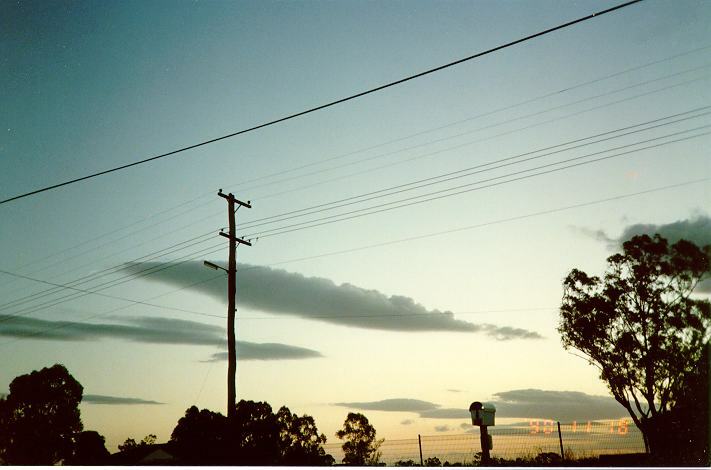 Cap clouds are clouds that can be described in structure similar to lenticularis. The tops of the clouds are in the shape of a smooth hump. The most common examples occur over steep islands or over headlands. However, cap clouds can occur over the tops of large cumulus clouds. The characteristics of these clouds are similar to lenticular altocumulus. When they develop they do not move as a system but continuous development occurs on the windward side and the dissipation occurs at the downwind region. Roll and shelf clouds are clouds mostly associated with the front bases of some thunderstorms. When updraughts of warm moist air are adjacent to downdraughts consisting of cold air, condensation occurs. 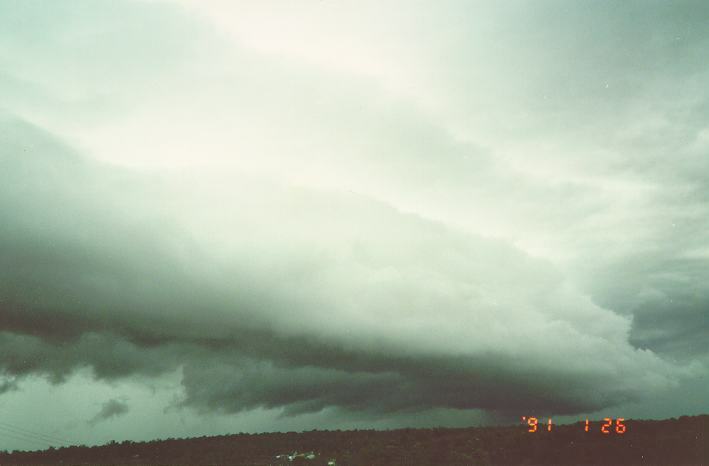 The difference between shelf and roll clouds are that roll clouds involve horizontal rotations. These always display continuous changes. 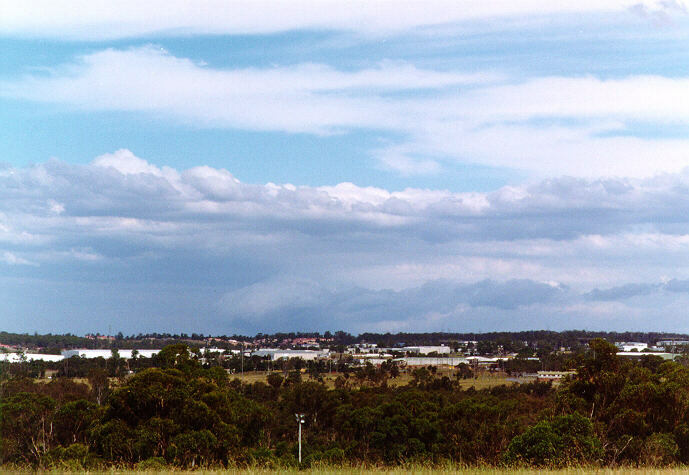 Roll clouds can also develop in the absence of thunderstorms. Sometimes, rapidly approaching cold fronts produce roll clouds under similar conditions. 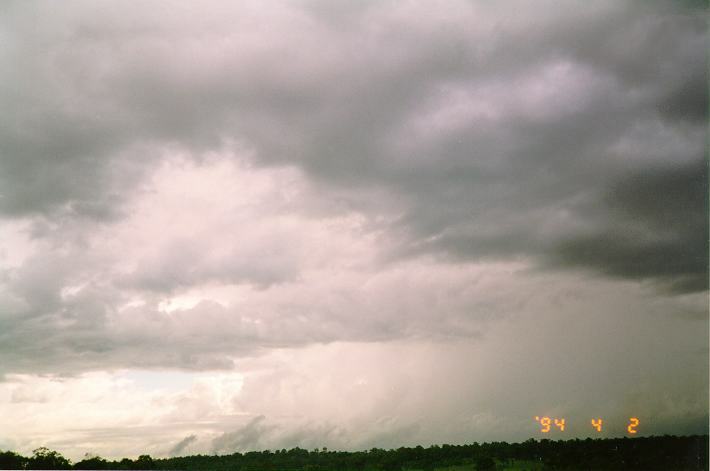 Scud clouds are fragments of clouds that condense below the normal base level of clouds (condensation level) during rapid development. 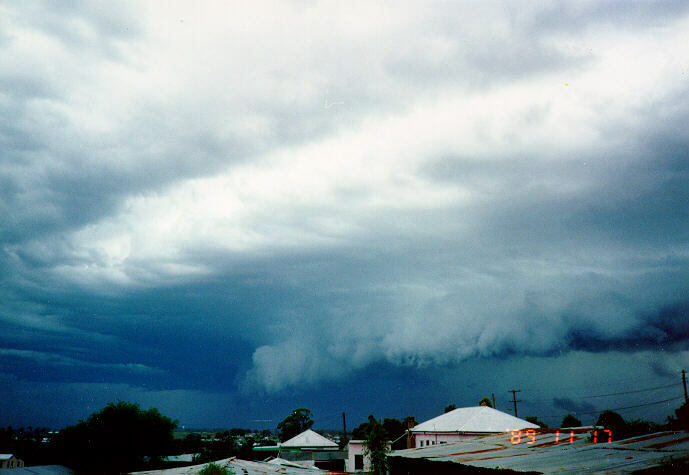 They most commonly occur below bases of thunderstorms although some occur with wind changes such as cold fronts. Scud clouds go through continuous rapid changes. They give some indication of approximate air flow into the cloud bases. 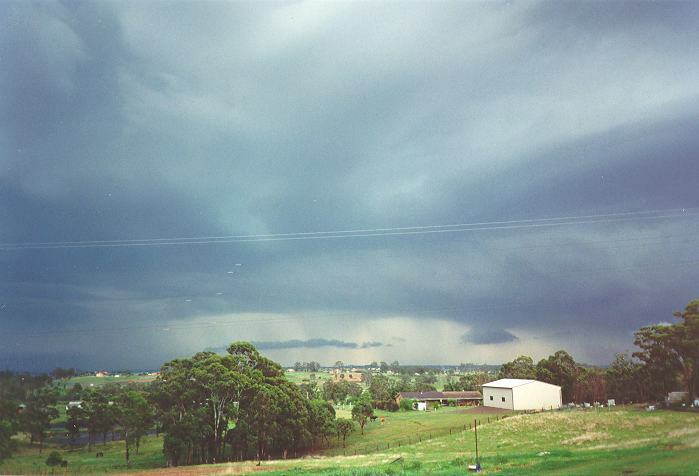 Microbursts are downdraughts that accelerate to the surface from the clouds. As precipitation evaporates, it cools causing it accelerate downwards. Once it reaches the surface, it has to spread out. The result is a toe-shaped outward flow along the surface which is visible in wet microbursts (precipitation mixed with dust). 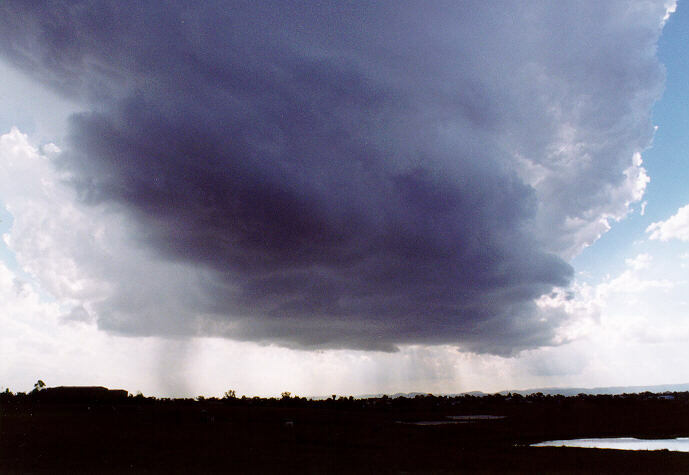 During dry microbursts, only dust is observed blown outwards. 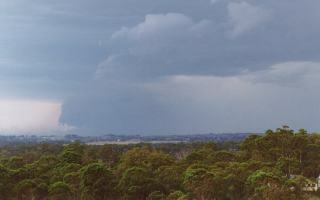 Some microbursts can be very severe causing aircraft to crash when landing or taking off.